Ich habe eine kleine Oster-Überraschung versprochen. Das E-book „Duft der Zypressen“ ist bis zum 30. 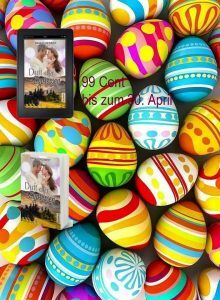 April zum Aktionspreis von 0,99 € erhältlich. In diesem Zeitraum versende ich signierte Taschenbücher für 10,99 €, die Portokosten für den Versand innerhalb Deutschlands übernehme ich. Ein schönes Wochenende und glückliche Ostertage wünsche ich euch. My husband and i felt so cheerful Peter could deal with his homework because of the ideas he acquired using your blog. It is now and again perplexing to simply continually be giving away guidance that some people might have been selling. And we also discover we’ve got you to appreciate because of that. All the explanations you’ve made, the easy web site menu, the relationships your site help to foster – it’s many fantastic, and it’s really aiding our son in addition to us do think this article is fun, and that’s tremendously serious. Thanks for the whole thing! I and my pals ended up reading the excellent recommendations on your site then unexpectedly got a horrible suspicion I had not expressed respect to the web site owner for them. Most of the ladies ended up absolutely passionate to read through them and already have quite simply been using those things. Thanks for genuinely so helpful and also for using varieties of smart information millions of individuals are really eager to understand about. My personal sincere regret for not expressing gratitude to sooner.